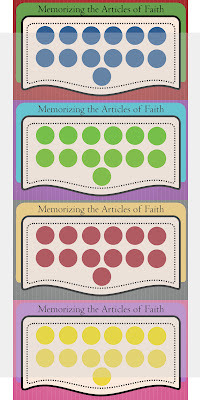 I made 4 different punch cards for the kids to choose from, when they complete each Article of Faith they can put their choice of sticker on that circle. I'm debating whether or not to keep them in my binder or to give them to the kids. 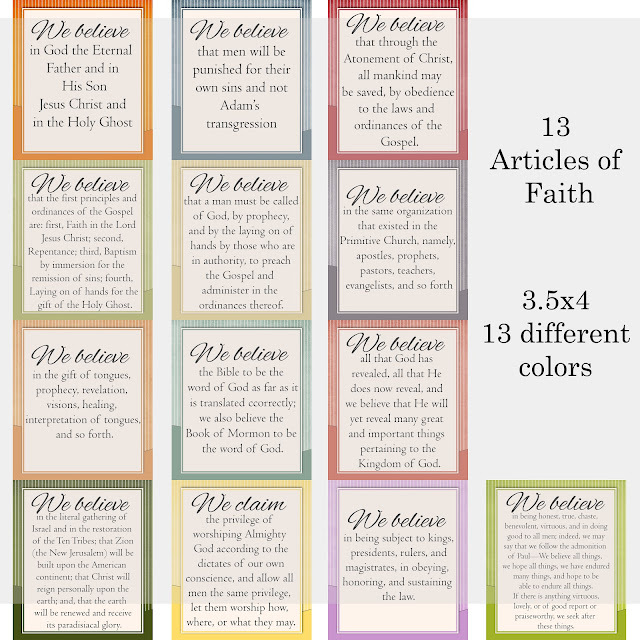 I have also updated and revamped my Articles of Faith from a couple years ago, you can download all 13 (3.5x4) HERE. I'll be laminating these, and putting them onto a binder ring for each of my class to take home with them put on their scripture bag. #8 has an error in the above download. You can download a corrected one HERE. 4X6 CARDS ARE NOW AVAILABLE!! 11x17 and 8x10 coming soon! I've ordered some of these plastic capsules to put the prizes into. Not sure how financially friendly they would be for large Primaries, but for my class it works. They will be taking the prize and giving me back the capsule. After they have memorized all 13 they'll get their favorite candy bar king sized. You could also put the prizes into Easter Eggs no problem, same effect with a surprise prize. You could also decorate with stickers, puffy paint etc or you could spray paint and add glitter to them for more added fun. 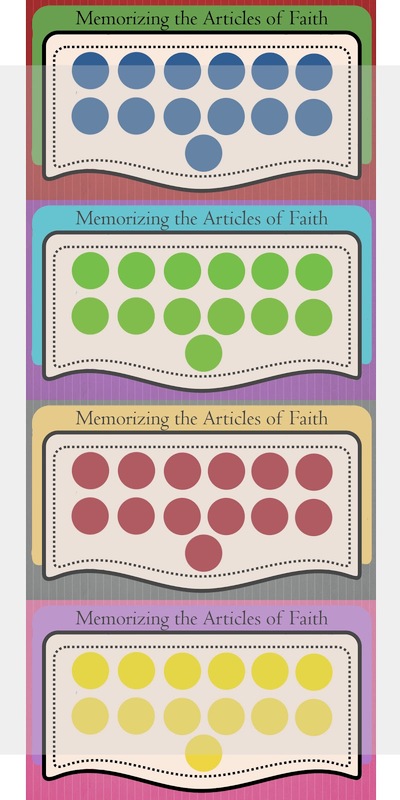 Or you could use those little gift baggies with ties or curly ribbon. For the prizes, I've ordered toys from Oriental Trading, just a mix batch for both boys and girls to have fun with.